There exists some nonfiction that I have a difficult time explaining in a concise manner while still making it sound somewhat interesting. “The Dead Beat” is one of those books. If put on the spot to describe the book, I would probably say, “it is about obituaries.” When pressed for more detail, I might be able to come up with, “it is about obituaries and the people who write them and, to a lesser extent, the people who read them.” Since that doesn’t sound the least bit interesting, I’m going to do something I do irregularly and provide you with the publisher’s description. Marilyn Johnson was enthralled by the remarkable lives that were marching out of this world—so she sought out the best obits in the English language and the people who spent their lives writing about the dead. She surveyed the darkest corners of Internet chat rooms, and made a pilgrimage to London to savor the most caustic and literate obits of all. Now she leads us on a compelling journey into the cult and culture behind the obituary page and the unusual lives we don’t quite appreciate until they’re gone. Ah yes, that’s much better. 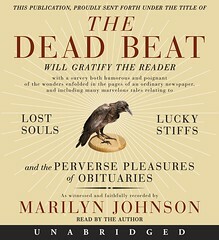 I was morbidly fascinated by “The Dead Beat.” Not so much by all of the obituaries, but by all of the people who are themselves so morbidly fascinated by obituaries. Seriously, people, the obituarist (yes, that is a real word, at least as per this book and yes, my spell checker thinks I’m lying about it being a real word) convention was begun by a group of enthusiasts. Enthusiasts! About obituaries! I’ve heard the trope about elderly people reading the obituaries because it is where they can see their friends and know that the obituaries are many famous people are filed with newspapers well ahead of those people’s deaths just in case something should happen, but I had no idea how beloved obituaries are by so many. I’m not entirely sure why I thought I would want to read (or listen to, in this case) this book, actually, because I’m pretty sure that before picking it up I had never in my life read an obituary of any sort. Even so, Johnson not only kept me entertained and got me educated, she almost made me want to start picking up obituaries and reading them. 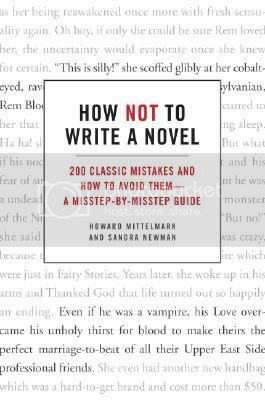 And, really, what higher praise can I give an author of nonfiction than to say that she kept me interested in something in which I have no inherent interest? I thought that Johnson was actually a very good choice to read her own book. She didn’t necessarily have a huge range of emotion in her reading but the texts wasn’t such that needed a huge range, other than from somber to humorous to ironic. The fact that she knew well her subject and the people she was interviewing so well made her narration a net positive for the audiobook. Definitely an interesting book, I think I would recommend it in either print or audio.